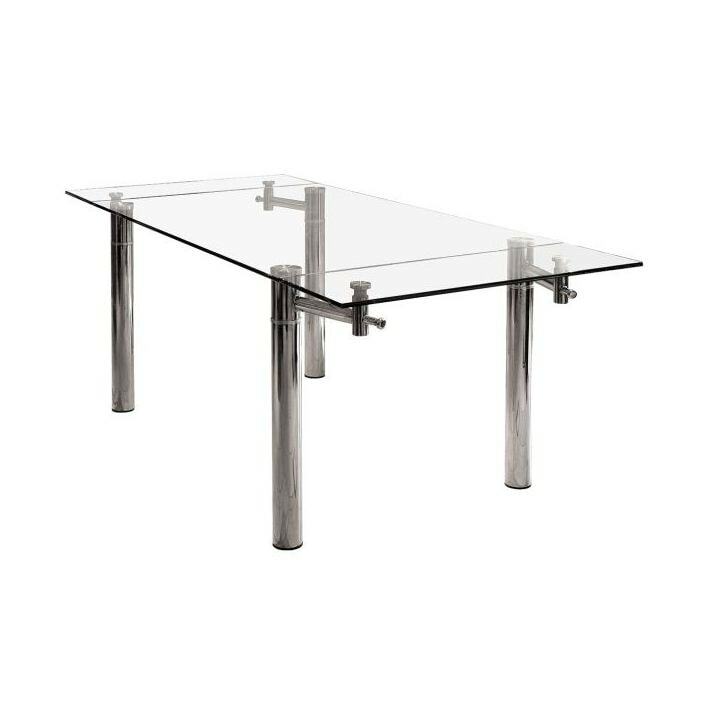 This impressive six seater glass dining table extends into a comfortable eight seater. The revolving extensions work like the mechanism on the wheels of a steam train. They are lowered by pulling the two chrome plungers allowing them to swing freely underneath the table. This stunning dining table is sure to impress, working well in a variety of settings.